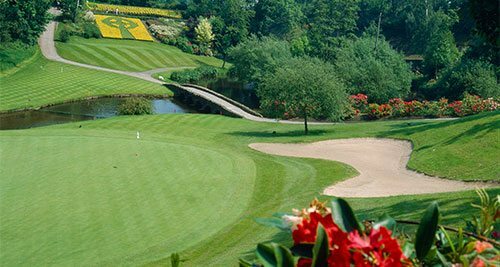 Druids Glen, founded in 1995, is a parkland course located between Bray and Wicklow town and just 30 minutes south of Dublin. 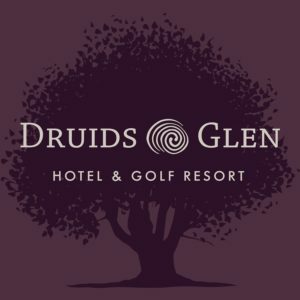 It is one of two courses on the Druids Golf Resort. 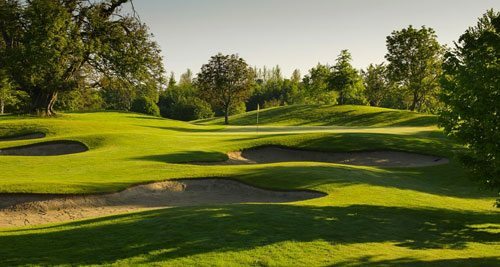 The Glen features prominently alongside the likes of the K Club and Mount Juliet in every discussion of great inland golf courses. 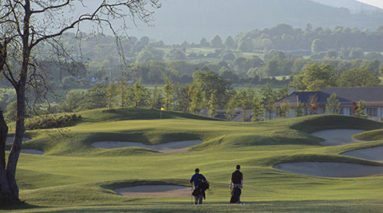 You can see views of the Atlantic from the first nine, with the back nine looking onto the Wicklow Mountains. 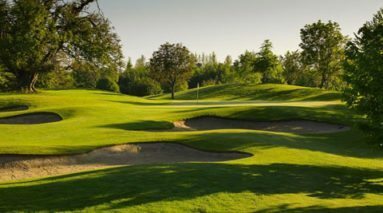 A well-wooded parkland course, with liberally distributed water hazards, bunkers and tree-lined holes demanding driving accuracy, the length of the course and many approach shots over water make this a challenging test for golfers. 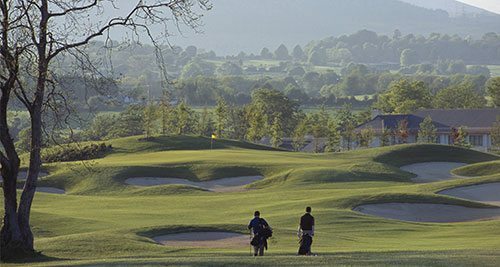 The Heath, founded in 2003, is also a parkland course which enables golfers to experience breathtaking views of Irish Mountains, Sea and Countryside throughout their round which is described as “Natures Gift to Golf”. The sea breeze calls for shot-making skills and imagination from the golfer. 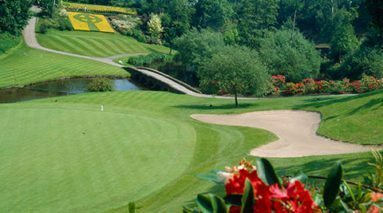 The golf course is carved from the natural landscape of Ireland’s Garden County with rolling fairways, natural rock quarries, lakes, trees, streams, gorse and pot bunkers. 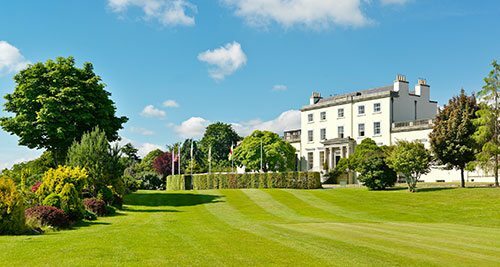 The Druids Glen Hotel and Golf Resort is located in Co. Wicklow, just off the main Dublin – Waterford motorway, less than 60 minutes south of the city centre. 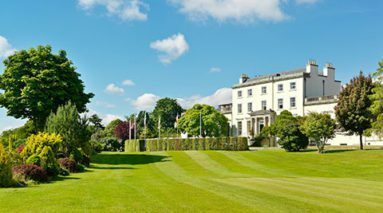 If you continue south for another 30km you will reach the majestic Wicklow Mountains. 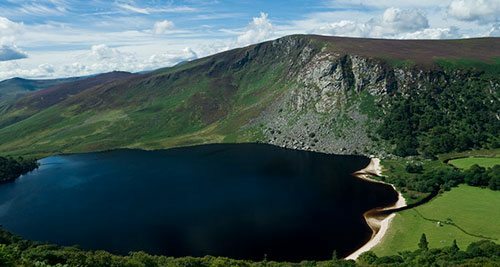 One of Ireland’s largest mountain ranges, which stretches across the whole centre of county Wicklow. The Mountains national park was opened in 1991 and is one of six national parks in Ireland. The park offers visitors a selection of recreational pursuits such as hill walking, rock climbing, hiking as well as a small amount of fishing. There are also prime areas for sightseeing and photography.